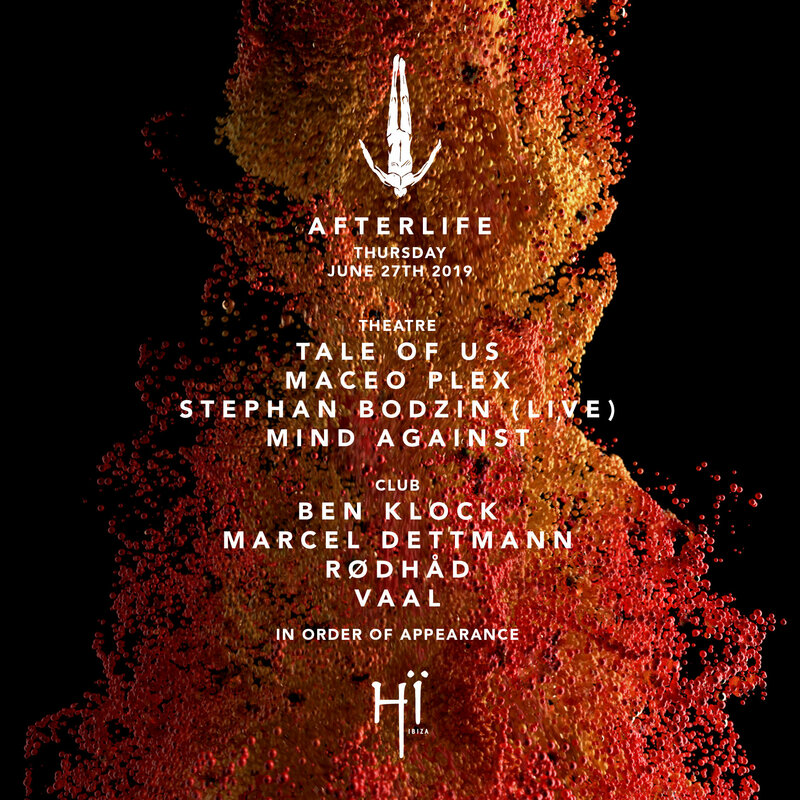 Afterlife is not just about assembling a list of DJs, it is about Tale Of Us drawing on a wide sphere of artistic influences under their now iconic Afterlife man insignia. Each and every week throughout summer they curate nights of innovative music, complemented by bespoke visuals and lighting, specially designed installations and thought-provoking production that takes you into a brand new party dimension. The attention to detail is unrivalled and the club's state of the art sound system delivers the music in crystal clear quality so you feel it as well as hear it. The full season line-ups will be revealed soon, but rest assured they draw on many facets of house and techno from the day’s key players, best live acts, hottest new names and most valued pioneers - an eclectic mix of returning favourites and debutants. 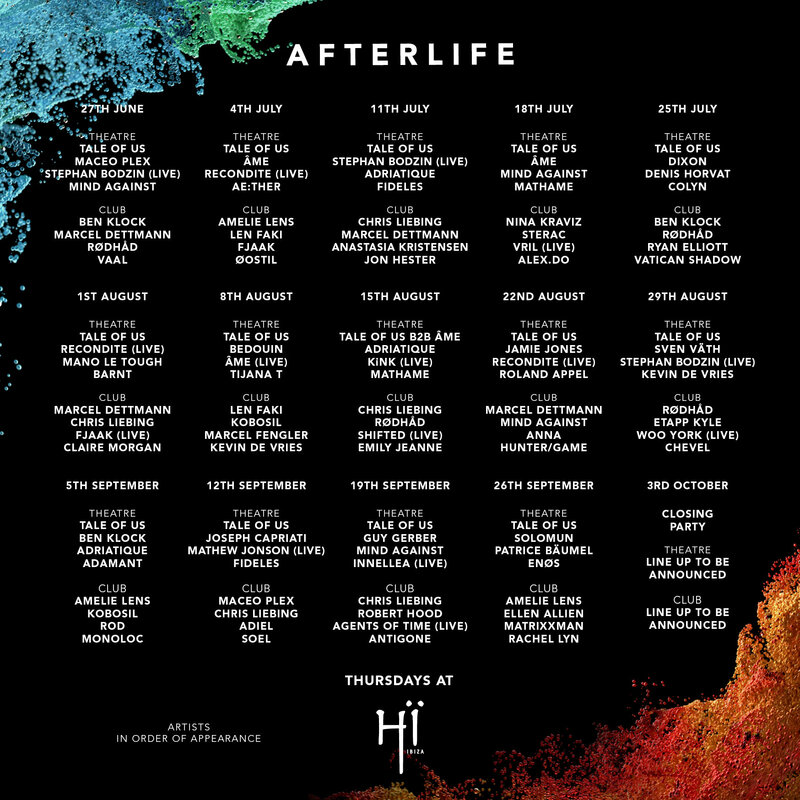 Running every Thursday from the 27th June - 3rd October, Tale Of Us’ Afterlife 2019 cements the duo’s reputation as forward-thinking curators in addition to their well established status as genre-leading producers and DJs. Tickets are on sale now. To book visit hiibiza.com.